Order picking has a huge impact on your business in many measurable ways. Take a quick look at our guide to learn about different approaches to order picking, and explore ways to make the process more efficient and productive. The impact order picking has on your business can be measured not just in terms of the cost of labor and resources, but also in the satisfaction of your customers. We wrote this guide to help business owners and operations managers learn about different approaches to order picking, and explore the ways they can make the process more efficient and productive. Let's start with the basics. 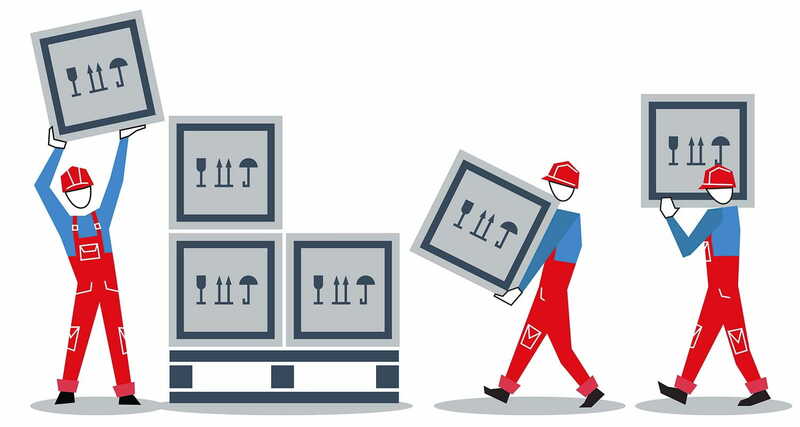 Order picking is the process of locating and pulling product from your warehouse inventory to fulfill a customer order. The product is then packed into shipment containers, and sent to the customer. Sounds simple enough, right? As you may be well aware, the process often gets very complicated. Picking product tends to be the most labor-intensive operation in the warehouse. From coordinating people to methods of picking to manual labor (pickers, for example, often spend up to 60% or more of their time walking), there are a lot of moving parts. So, how do you make sure you’re picking product in the most efficient and productive way? It starts by understanding your options. Mechanical equipment should be used for picking and packing high-volume orders. Physical changes in warehouse layout and design are better than implementing administrative controls and safety precautions. Employees are not required to handle, select, and replenish items above their height. The equipment that employees use to raise and store items should be helpful in providing close access and ensure employee safety and protection. Items and materials should be easily accessible, to minimize uncomfortable and risky postures. These principles help ensure your employees stay safe and work efficiently during manual order picking. Picker to Part or Piece Picking Method: The simplest and most commonly used, this method involves sending an employee (on foot or in a vehicle) through the warehouse or distribution center with an order list and a container. Routes are typically dictated by the pick list. Incorporating technologies like “pick-to-light” or “voice-picking” can help make the process more efficient and accurate. They let the picker know which item (and how many) to pick by illuminating the item location or using interactive voice commands, respectively. 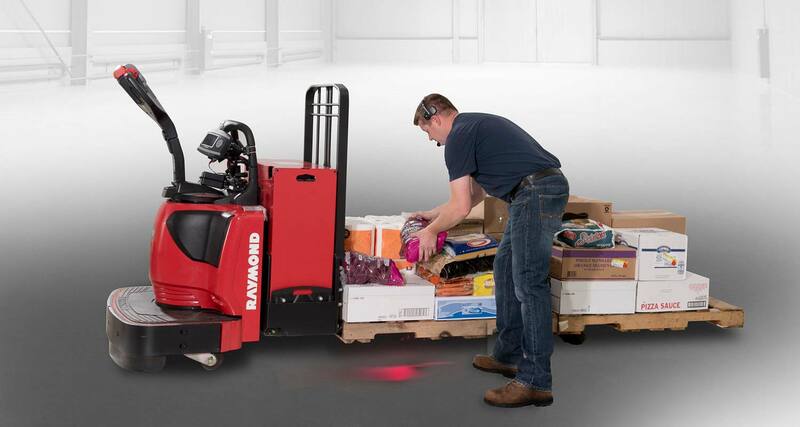 Our Pick2Pallet™ LED Light System from Raymond combines both of these technologies. Zone Picking Method: Each order picker is assigned to one specific zone and only picks orders within this area. This method is great if you have a large number of SKUs and/or numerous orders per day, but has a relatively low pick-to-order ratio. Wave Picking Method: This method is most commonly used when there are a large number of SKUs and a high ratio of similar-looking packages. It allows for all products to be picked from what appears to be random locations. A sorter will bring common items of the same order together later to the packing area. Pick to Box Method: This method involves a bit of basic automation. More than one picker may pack a box. The picking area is structured to have a number of picking stations linked by a conveyor. The order picker fills the container with the products from his station, and then the box travels to the other picking stations until the customer order is fulfilled. What types of businesses does manual order picking work best for? Retail and businesses selling fast-moving consumer goods with high SKU counts tend to benefit from manual order picking methods. There’s a degree of verifiable accuracy without as much investment in technology and expensive equipment required for more automation. Automated order picking follows a process of placing, picking, and retrieving items and materials from their specified storage areas, by using computerized systems that integrate software with equipment. This type of picking tends to be more productive and efficient, because it eliminates or reduces the need for manual labor. It can also be safer (computer-controlled machines do most of the work) and more accurate (reduces the chance of human error). Zone Picking System: Each order picker is in charge of a specific zone, and will only pull product from that area. The shipping box or container will move through the different zones via a conveyor belt. This type of picking area often needs flowracks or similar shelving, so items being picked can easily be replenished from a separate area without interrupting the activity on the picking floor. Automated Case Picking System: This approach uses an automated crane to pick up heavy and/or large cases. The crane can transport, lift, store, replenish, and select big cases. It allows for much higher shelving and better use of warehouse space, because workers don’t need to put themselves in danger by working high in the rafters on an aisle picker. Pallet Picking System: This method combines pallet conveyors, automated cranes, and sorting systems. Ideal for businesses that mainly receive and ship palletized products and cases, pallet picking ensures product is safely moved and warehouse space is used as efficiently as possible. We offer automated and semi-automated storage and retrieval systems for pallet picking, including the Raymond Radioshuttle™. Batch Picking or Multi-Order Picking System: This process combines the product demand from several orders into a single picking instruction. It promotes efficiency, because employees don’t have to pick orders manually. Also, orders aren’t picked one at a time. What type of businesses does automated picking work best for? Because of its efficiency and adaptability, automated order picking methods are great for businesses in many different industries, from food and beverage, retail, and pharmaceutical to manufacturing, warehousing, and shipping. Remove order productivity constraints. Establish goals and tracking systems for things like stockouts and items not in location, to help avoid wasted time and effort by order pickers. Set up “hot zones.” If most of your orders are fulfilled with a small percentage of your SKUs, group them in the same area. This will help reduce order-picking time. Make sure the space can handle high-volume activity. Batch pick. Have a lot of single-line orders? Group them into batches to eliminate unnecessary picking trips. If you pick manually, implement a system to keep track of the orders within the batch. For example, use multi-shelved carts to separate orders. Optimize storage. Storing product in the right containers is key. For example, it’s inefficient to store slow-moving SKUs in pallet racks, or fast-moving SKUs in shelving bins. Regularly evaluate your client and seasonal demands to choose solutions that are efficient and minimize product handling. Always evaluate your order picking method. As your business evolves and grows, your order picking process should, too. Check in regularly with warehouse managers and workers to see how your current system is working, and if there’s room for improvement. Want to learn more about your order picking options? We’re here to help. Contact us to learn more about our Pick2Pallet LED Light System, Raymond Radioshuttle, and other storage and retrieval options.